Android Reborn – 3 Solutions to Fix LG G6 GPS Problems. When we want to go to somewhere but you do not know the route, you will usually use GPS. 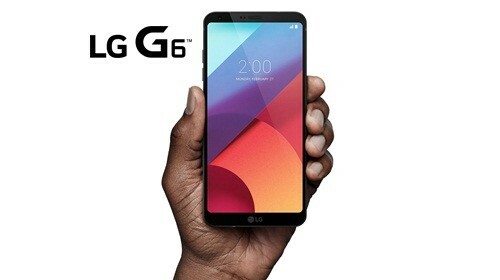 Today, GPS is installed on any type of Smartphone, including LG G6 as one of the most favorite types of Smartphone. However, what should you do if the LG G6 GPS gets issues such as losing signal or its GPS are not working. In this article, we will explain some basics solutions that you can try to fix LG G6 GPS issues. This simple solutions can be applied even if you are not so familiar with android operation system. If your mobile data is not stable, it may cause problem to your GPS. In this case, what you need to do is to reconnect your mobile data. So, you should follow these steps below. If the first method above cannot help, you should follow the next way. This second way requires you to restart your device to fix LG G6 GPS problems. It is also very easy to follow but it may take a few moments. To restart your device, what you need to do is the following steps. If problem may be on the GPS itself. In this case, the best way to solve LG G6 GPS problems is to reinstall the GPS on your Smartphone. To reinstall GPS, you need to follow these steps below. That’s all our solutions to fix your LG G6 GPS problems. We hope this method are working to solve your phone issues.